We stayed in the Golden Nellie, former Alaska RR caboose 1068. 2-night, 8/28 & 29/2015, stay in the Aurora Express Bed n' Breakfast, Fairbanks, AK. 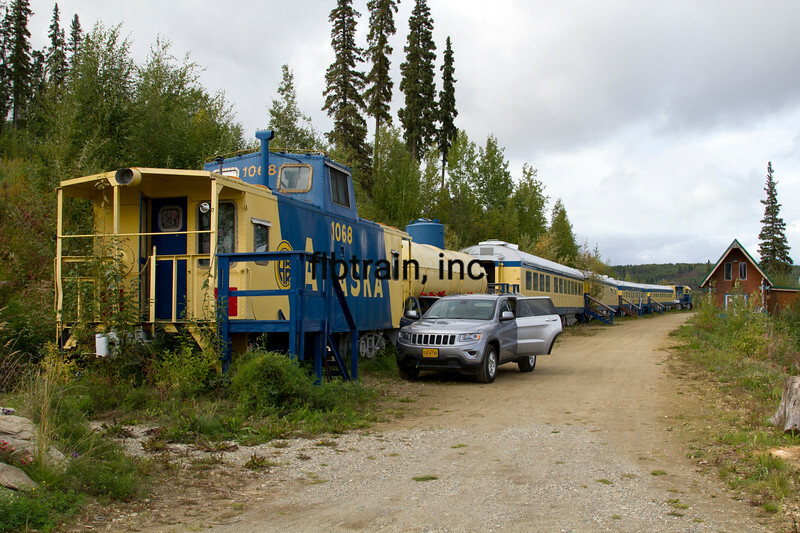 Consist of the train has former Alaska RR GP40-2 3021 + a dining car, a converted WWII Hospital car with bedrooms in it, the National Emblem Pullman. the National Domain Pullman with 4 suites, The Bordello, The Gold Mine, The Immaculate Conception, & The CanCan, a tank car & former Alaska RR caboose 1068 named the Golden Nellie.